Perhaps you have been there! You think your HVAC system is working well, only to have to call your professional licensed HVAC contractor again, and again and again for repair after repair. Even with proper maintenance and the dedicated efforts of a highly skilled HVAC contractor, an aging furnace may start to show its age. Continuous repairs can get expensive for a homeowner. As discussed in “Eliminate Indoor Hypothermia - Furnace Repair or Furnace Replace?” you should determine your repair spending cut off point. If your repair estimate is close to your predetermined budget threshold, it may be best to start researching a new gas furnace before you experience a breakdown. How expensive does a furnace repair need to be before it’s not worth repairing it? If key parts fail, such as the heat exchanger or control module, or repair costs are more than 50% of the cost of a new product, it may be better to replace the unit.2 However, you should always discuss repair vs replacement options with your HVAC technician to get a clearer assessment of the price tag of repairs and the predicted longevity of your existing gas furnace. Preventive maintenance and professional inspections are important aspects of the operation of your gas furnace. While evaluating your gas furnace, an HVAC dealer may uncover small cracks, leaks, rust, rot, soot, frayed wires or corroded electrical contacts that can lead to furnace failure. Energy.gov estimates that heating and cooling account for up to half of a typical home’s total energy use. As a result, a homeowner should make every effort to increase the energy efficiency of their HVAC equipment. While there are a variety of reasons and potential fixes that can increase your energy efficiency, a licensed professional HVAC contractor may reveal that the AFUE (Annual Fuel Utilization Efficiency) of your gas furnace may be the primary cause of these excessive costs. An older gas furnace with an AFUE rating of 70% would mean that only 70% of its fuel is used to heat your home. The remaining 30% may escape through the chimney or exhaust. That means that up to 43% of the energy used to run your furnace may be wasted. A high-efficiency model can offer higher AFUE ratings, potentially providing significant energy efficiency and savings on utilities. While every homeowner’s HVAC situation and budget is unique, SmarterHouse.org, a project of the American Council for an Energy-Efficient Economy, states that replacing a furnace with a modern high-efficiency model may be a good investment. Have you ever walked through the door to your home and realized it’s very hot and humid on the inside? It may be time to make that dreaded HVAC urgent service call to your local professional or licensed dealer. Maintaining a comfortable and consistent temperature in your home is a delicate balancing act between the air conditioning equipment, air flow, and mechanics. If one or more components are not functioning as designed, the entire system may be affected. In order to understand the air conditioning language used by your technician, it may be helpful to learn "How an Central AC System Works", and a few key parts of your cooling system. Thermostat or Control System: Dead batteries in a thermostat or control system may prevent your unit from turning on. If the unit turns on but isn’t cooling properly, your technician may perform a test to ensure it is set properly and that it is reading the correct temperatures. Electric/Electronic Controls: If the unit is not operating, the electric connections of the compressor, fan controls or capacitors may need attention. Drainage: If the unit isn’t cooling properly, the technician may check condensate drains to be sure they are not clogged. Air Filters: Clogged air filters can reduce airflow. This may decrease your air conditioner’s ability to remove humidity from the indoor air effectively. Ductwork: Leaking, constricted or clogged ductwork can interfere or even cut off conditioned air from getting to your indoor living spaces. Your HVAC technician may suggest replacing your air conditioner rather than repairing it if they discover an expensive to repair issue on an aging and inefficient unit. 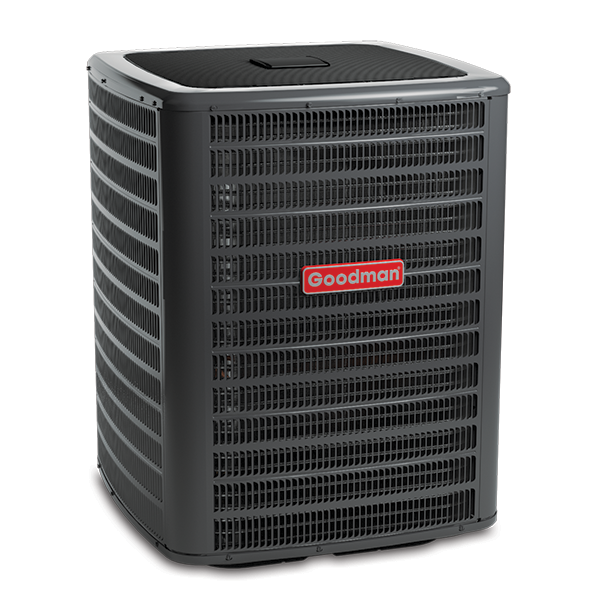 There are a lot of variables in determining whether an AC should be repaired or replaced. However, your contractor should be able to offer guidance because they understand the details associated with your HVAC system. If possible, provide your technician with the manufacturer name and model number of your equipment from your initial bill of sale. If this information is not available from your paperwork, a homeowner should not attempt to open any equipment in order to access this information. If your air conditioning system is covered by a limited warranty, be certain to tell your HVAC technician. U.S. homeowners spend about $29 billion a year on energy costs associated with central air conditioning.1 That’s a lot of money to keep cool! But when AC systems aren’t running at peak performance, the cost can go up even higher - meaning larger utility bills. But with regular maintenance, you can potentially reduce your air conditioner’s cooling emergencies and help extend the life of your system. Just like changing the oil on your car, your central air conditioning system requires regular maintenance to run at peak performance year after year. Some routine maintenance can be handled by homeowners. However, there are other jobs that should only be performed by a professional licensed HVAC technician. If the air condition portion of your energy bill equals $100, you may save an average of up to $15 per month just by replacing the dirty filters with clean ones! 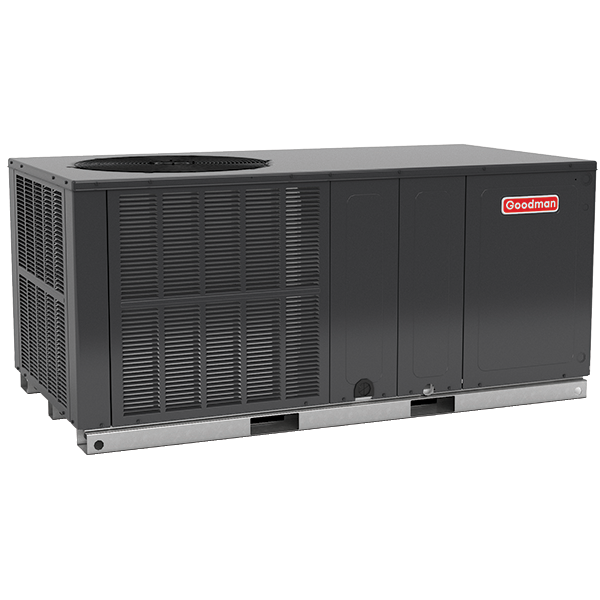 But the real savings comes with minimizing the possible service calls for air conditioning emergencies and extending the life of your equipment! Most likely, if you see a consistent drip on a hot day, the condensate drain is working properly. When condensate drains are clogged, the unit may not be able to properly reduce indoor humidity which can cause poor performance and loss of energy efficiency. Homeowners should always consult with their professional or licensed HVAC contractor to determine equipment-specific, DIY maintenance efforts that can help you keep your air conditioning system operating at peak performance levels and help reduce energy costs. Trained licensed HVAC professionals are better equipped to identify any airflow problems, system leaks, coil issues or potential failure concerns. To keep your central cooling system at peak performance, homeowners should hire an HVAC contractor to perform a more detailed check-up. The ideal time for profession HVAC maintenance is during pre-season, before you need to operate your central air conditioning system. 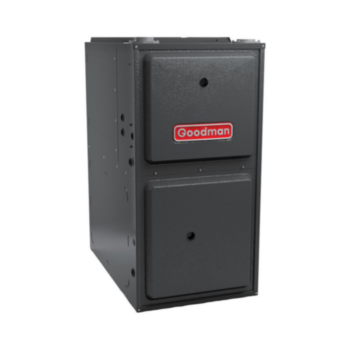 Is your gas furnace ready to keep your home warm and cozy — ALL WINTER LONG? Don’t be trapped under a pile of blankets this season! Be sure your heating system and insulation are in tip-top shape. For season-long dependability, you may want to have your gas furnace inspected by a licensed professional heating contractor before the first cold snap. You don’t want to walk in the door to a frigid home on the coldest night of the year! Routine maintenance by a licensed, professional heating contractor may extend the life of your gas furnace and possibly prevent minor issues from turning into expensive or significant problems over time. Heat Exchanger: The heat exchanger is a critical part of your gas furnace. Your indoor air is circulated over the heat exchanger, warming it to be re-circulated back to your conditioned indoor living areas. Your contractor should look for any indications of unusual wear or small cracks, which could lead to a dangerous carbon monoxide leak into your home. Blower Motor: The blower motor is designed to control the amount of heated air pushed through the air ducts to the conditioned spaces of your home. Your technician should check the blower motor and blower wheel for excessive vibration, loose electrical components, and proper electrical current. They may also clean away dirt and debris that could inhibit adequate operation. Inducer Motor: The inducer motor is designed to draw a gas furnace’s exhaust gases away from inside the heat exchanger, so it’s important that it is in proper working condition. The contractor may also inspect the flue vent for any obstructions (ex: bird nest) that could restrict exhaust from escaping. Burners: Proper ignition of the gas furnace burners is critical. Your contractor may clean and/or test the flame sensor for accurate operation. Fault Code History: Certain gas furnace models retain an electronic fault code history within its control board. Theses codes may provide insight as to any incidents or malfunctions that may have occurred with the gas furnace components between maintenance appointments. Your contractor may also check the return air filter to see if it needs to be replaced. A new return air filter may minimize the accumulation of dirt and/or dust on the blower motor and other HVAC components. A homeowner should routinely replace the return air filter as directed by the manufacturer’s guidelines. If you cannot easily locate your return air filter for your central heating system or have questions about the specific type required, talk to your licensed professional HVAC dealer for assistance. You pay hard-earned money to heat your home, so be sure you get your money’s worth! Homeowners should take the appropriate measures to efficiently block out the cold from entering their home. Any opportunities to save energy over the winter season may help you save a little more on your monthly energy bill! When your home does not have enough insulation in the walls, crawl spaces, attic or basement, cold outdoor can leak into your home, and heated air can escape outdoors – compromising your heated, warm spaces and your indoor comfort. Ideally, your insulation should provide complete and uniform coverage.1 If you notice drafts even after you’ve closed all of the doors and windows, it’s a good time to have a professional inspect your insulation. However, insulation may not be enough to contain your heated indoor air. Every gap, doorway, window seam, air duct or hole in the wall has the potential to leak warm air. The Department of Energy says that the average home’s air leaks could be equivalent to a two-foot hole!2 That’s like leaving a window open 24-hours a day.2 Weather stripping and caulking may help seal those small areas where warm air can potentially escape. For assistance in evaluating your home’s insulation, call in an licensed professional HVAC dealer to help out! 1 Insulation. n.d. https://energy.gov/energysaver/insulation. 2 February 2017. 2 "A Guide to Energy-Efficient Heating and Cooling." August 2009. Energy Star. https://www.energystar.gov/ia/partners/publications/pubdocs/HeatingCoolingGuide%20FINAL_9-4-09.pdf.